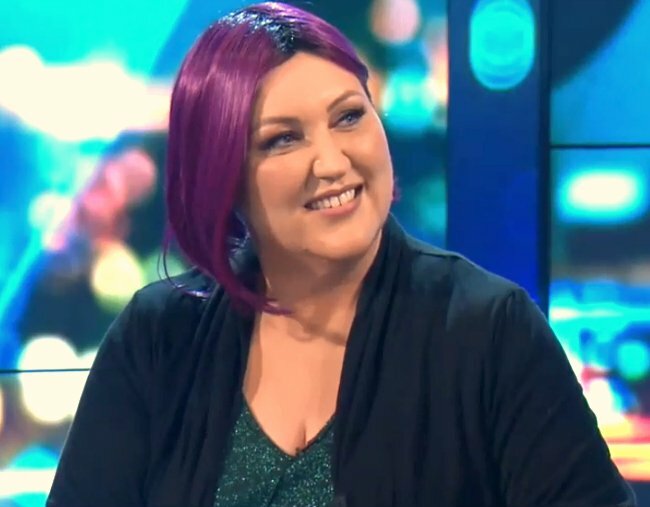 On Friday night, Meshel Laurie sat behind The Project desk. Her smile was wide, her wit quick, and her hair a sleek, purple bob. The 41-year-old radio and TV presenter is known for her colourful and ever-changing hair looks. It’s one of the many reasons her fans love her. But behind her latest look is a common health issue many women are experiencing, but feel they can’t talk about. Female hair loss. In a lengthy Facebook post, the mother-of-two felt she had to explain the reason she chose to wear a purple wig. “I know my look on The Project tonight was a bit wacky, and to be honest, it rattled my confidence a bit. It was a desperate measure by a desperate woman,” the Buddhism for Break-ups author wrote. “It was a cheap wig. The fact is, I have a problem. I’ve always had great hair. I’ve never felt like I had much else going for me on the physical side of things, but I always had a great, thick head of hair that could take anything, but now alas, it has left me. It grows, but then it snaps. I know for a lot of women it stops growing altogether! Meshel went on to explain how her hair loss has impacted her mental health and self-confidence, more so than any other sign of ageing. “I try so hard not to be a problem to anyone, but this issue was quickly becoming too big for me to handle on my own. I was spending whole days driving around town trying to figure out how to cover it up before my next Project call time. It’s a common myth that hair loss only looks like a man thinning on the top. In fact, more than 55 per cent of women will experience some degree of hair loss in their life, Dinh and Sinclair research reports. Hair loss, which can include breakage and thinning, increases with age. 12 per cent of women aged 20-29 experience hair loss, 25 per cent aged 30-49, 41 per cent aged 50-79 and over 50 per cent aged over 80. While hair loss affects both men and women, the way it impacts on our mental health differs. The same research found 52 per cent of women said they were “very-to-extremely upset” by their hair loss compared to just 28 per cent of men, and struggled with low self-esteem, negative body image and reduced social contact. Want to hear to more? Listen to Mamamia Out Loud in iTunes, Android or onMamamia. Factors like age, Polycystic Ovary Syndrome, medications and stress can all cause hair loss in women. Regardless of why it happens, female hair loss carries stigma and shame, especially if, like Meshel, your hair has always been your thing. Only by talking about it can we start to realise it’s more common than we think. The comments on Meshel’s Facebook post are proof of that. “Oh Meshel I totally get where you are coming from girl! I am also there and its devastating!” one commented. Among hundreds of positive comments reminding Meshel how well she rocked her wig (which many didn’t realise was a wig at all), this one stood out. Have you experienced hair loss? Have you found a solution that works for you and makes you feel confident? Share it with us in the comments!